Suzuki Burgman makes a sensational entrance with new campaign! After a perilous (to say the least) journey through a rikshaw, then train, and possibly a concluding metro ride – when was the last time you enjoyed a ride to work? Makes you wonder! Only if there were a smarter, quicker, and stunning alternative! 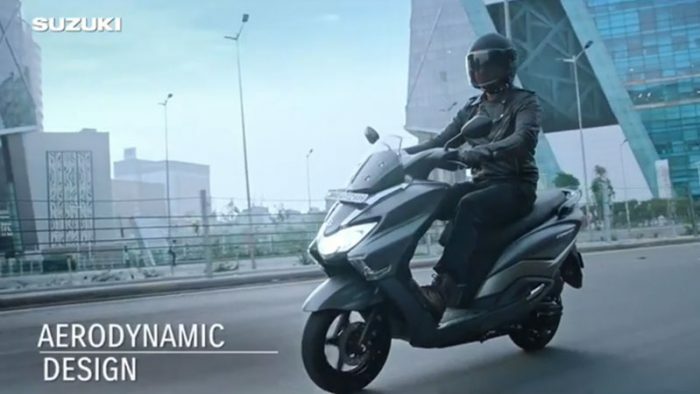 Enter, the sporty and macho Suzuki Burgman; one of the leading Indian two-wheeler brands, in their latest campaign introduce a much needed male centric scooter with sass and class in just the right proportions. With a foot tapping background score, the video introduces us to Suzuki Burgman, making a compelling case without losing attention till the last second. The high quality visuals paired with an enigmatic score make for an eye grabbing introduction to the masculine scooter’s distinctive features such as LED lamps and tail lights, USB charger, and extra long seat. The campaign takes an informative, yet entertaining route, paving the way for two other interesting videos. A witty narration of how Suzuki Burgman is the perfect wingmam for every stud looking to make the perfect entry! As the protagonist enters on his much envied ride, the male oriented scooter simply steals the show. The first video is an impressive chronicle of The scooter making a grand appearance at a 5 star hotel, leaving all stunned. The second video on the other hand, not only shows how Suzuki Burgman could easily compete with any fancy cars out there with it’s masculine looks, but is also much practical in lanes and by lanes that we haven’t enjoyed in a long, long time. While most brands lose sight of the message, brand ethos, and even brand personality in a bid to reach out to the right audience, Suzuki Burgman manages to put across a clear message on the back of strong visuals and quality music. The campaign touches all the right touch points and gradually leaves you wondering – when was the last time you really did enjoy a ride?